Una Mamma Italiana: Italian Childrens' Books! 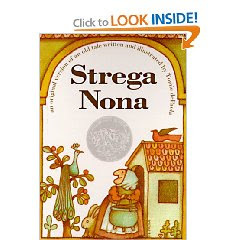 No true Italian could ever forget reading Strega Nona as a kid. It's that heartwarming tale of how an old witch lady from Calabria and the infamous Anthony make her famous soup. 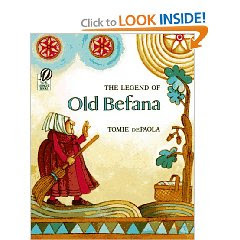 In a desperate quest for Italian stories for kids, I recently found out that the talented author of these books, Tomie DePaola, has actually written a series of Strega Nona stories (as well as many others) for the very purpose that Una Mamma Italiana exists - to keep Italian culture alive. That's what's so great about his stories - they are all about culture. Well, we LOVE Tomie for that. And...he even has a selection of Christmas stories that would make GREAT gifts this year. I am ordering the entire line for my kids this year. You can find some great deals on used books on Amazon, and I'll even bet ebay has a selection. To buy directly from Tomie's own hometown bookstore, go to http://www.morganhillbookstore.com/ where very copy you purchase is autographed by Tomie. 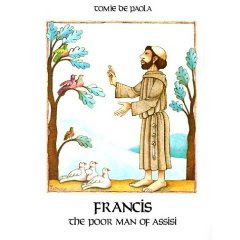 Just click on "Tomie DePaola." Here is a list of titles & prices form them for his Christmas/Thanksgiving/Religious/Easter books only. This is not even his entire selection of books and look how cute some of the stories sound! I can't wait to build up a library of these. To all other "Mamma Italianas" out there --- you owe this to your children...Italian bedtime stories are just one more way to keep the traditions alive in your families. Salute! ciao... I really interested at your book.. I'm in Indonesia, how can I get or buy your books ?